Adding to the other crunchy Enjoy Life cookies I was sent, the Chocolate Chip and Sugar Crisp, I was also sent the Enjoy Life Crunchy Double Chocolate Cookies to try for free as well. First off, I loved that there was a good amount of chocolate chips in these cookies, they really were double chocolate, and not something like “chocolate-cookie-with-a-sprinkle-of-chocolate-chips” thrown in. They were crunchy, but not super crispy where crumbs got every where when I took a bite. I felt that they were softer than the other two varieties of cookies that I tried. They were chocolatey for sure, but not so super chocolately as something like devil’s food cake would be. It reminded me kind of like a crunchy brownie in a way, as for what it would taste like. There also was a little bit of a slightly salty/sweet combo going on as well. If you had to choose…. 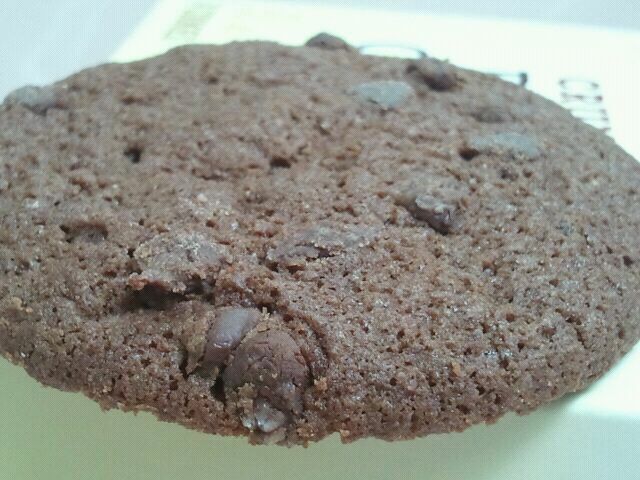 Double Chocolate Cookies? or Double Chocolate Brownies? Any exuse to eat chocolate (and/or peanut butter) and I’m down. 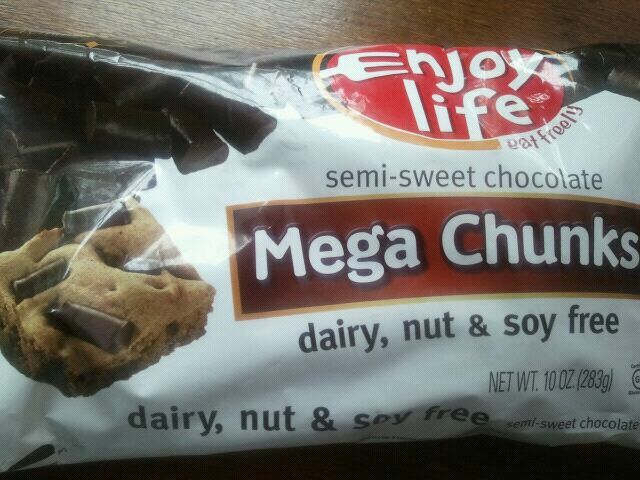 It’s obvious that when Enjoy Life offered me a bag of their new Semi-Sweet Chocolate Mega Chunks to try for free, I accepted without having to think twice! These chunks are gluten free, dairy free, nut free and more. I don’t have any allergies (at least that I know of! ), but I’m certainly up for trying all sorts of foods. First when I took these out of bag, I would agree they are “mega”! 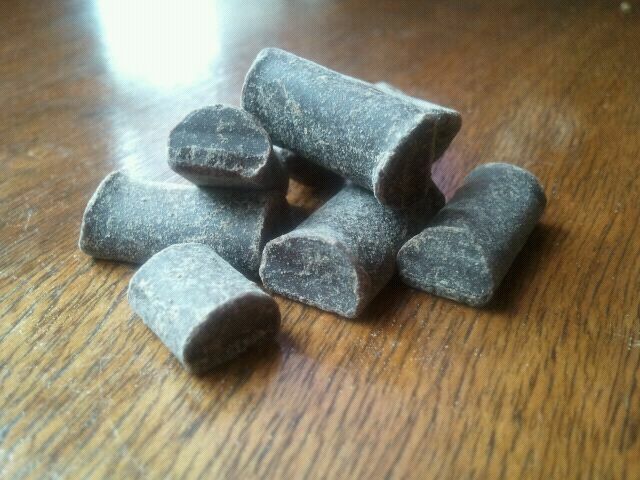 Long and rectangular in shape, and a dark brown color. I decided to try one straight from the bag. It was slightly bitter, but with a smooth melt-in-the-mouth chocolatey taste. I believe I even tasted just a hint of vanilla. See how big the chunks were! What I really liked about these, was that they kept their shape even after being baked. 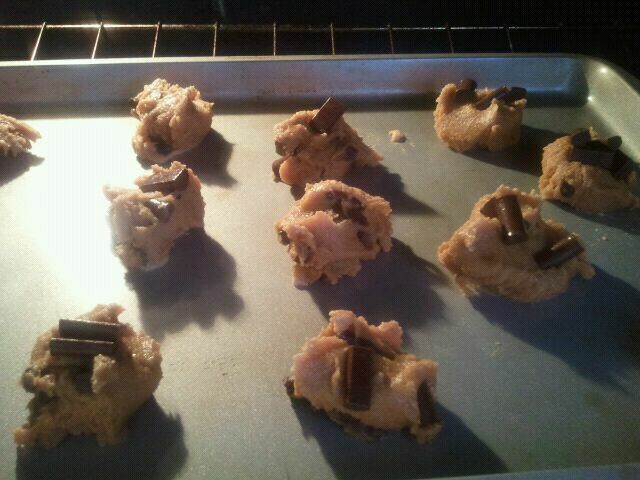 They didn’t melt or become “lost” in the cookie. They still had a teeny bit of a bite to them, while still have the ooey-gooey goodness of a chocolate chip – just bigger! What’s your favorite type of cookie? Besides the usual peanut butter & chocolate chip, I REALLY like White Chocolate Macadamia Nut cookies! I’m pretty sure snickerdoodles are my FAVORITE type of cookies. I love the cinnamon sugar flavor, and the chewiness that they have. 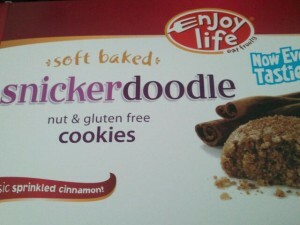 I was offered a free box of the Snickerdoodle Cookies from Enjoy Life, and was excited to try them. I recently reviewed the Lively Lemon flavor of these cookies I also was sent to try, and thought they were pretty good. 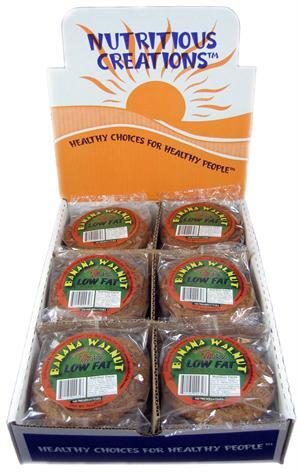 Some quick words about these cookies, according to the box, they are nut free, gluten free, wheat free, dairy free, peanut free, egg free, fish free, soy free and shellfish free. I opened up the box, and like the Lively Lemon cookies, these cookies were kind of small. Like I stated before, they are about the size of a Snapple cap, but 1 serving is 2 cookies as stated on the box. I took a bite, and found them to be very moist, chewy, and almost fudgy in consistency. 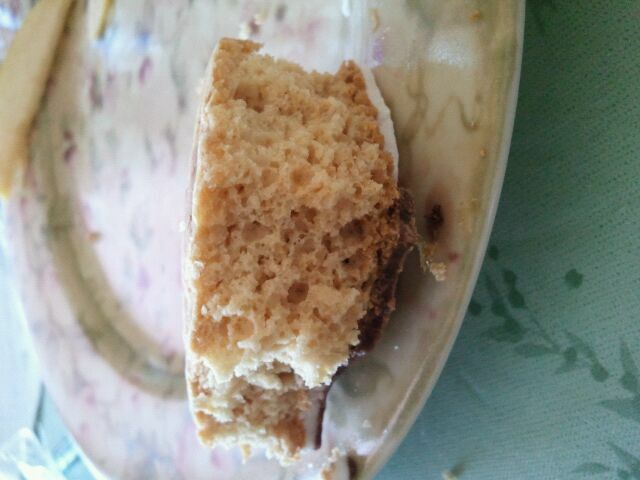 I actually really liked the texture, almost like a cake-cookie. They certainly weren’t like any Snickerdoodle I have eaten before, but they were still pretty good. A deep cinnamon flavor, and almost a bit of a burnt flavor as well. They were sweet without being too sweet, and even though there wasn’t molasses on the ingredient list, the flavor reminded me of something sweetened with molasses. Overall, pretty good, and quite unique. 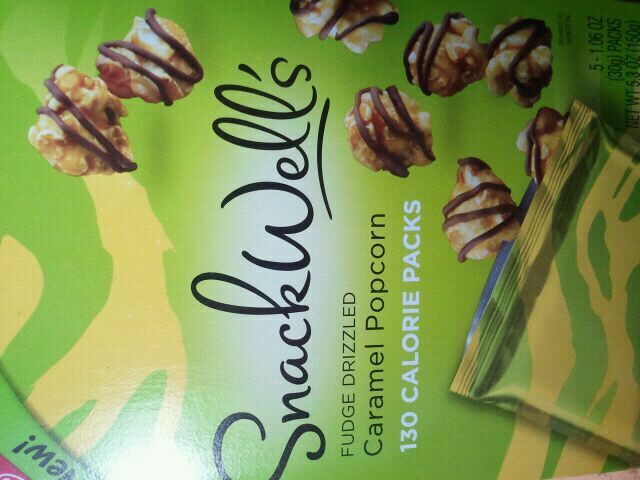 I would probably eat these again, and I also love how the ingredient list was rather short- 4 stars. 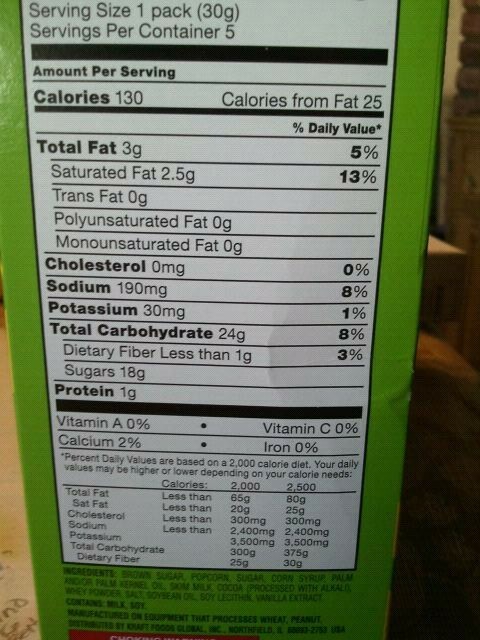 2 cookies is 130 calories, 5 grams of fat, 21 grams of carbhydrates, 2 grams of fiber, 13 grams of sugar and 1 gram of protein. 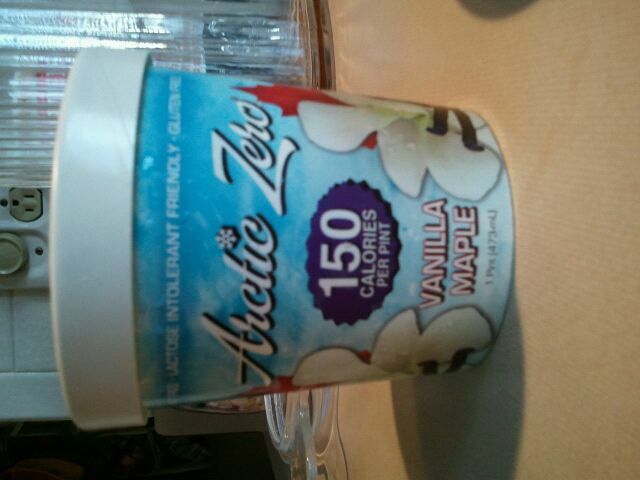 According to the container, “Arctic Zero is an all natural, smooth and creamy ice cream replacement”. 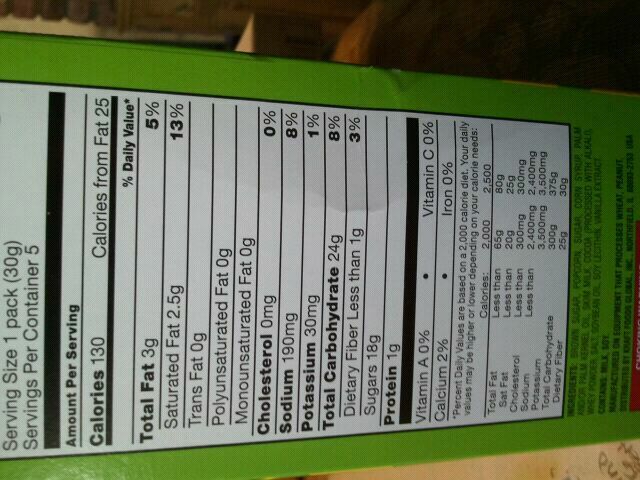 The entire pint has “16 grams of whey protein, 8 grams of fiber” and is also “gluten free”. One serving, 1/2 cup, is 37 calories and 4 grams of protein. Wait….WHAT?! Yep, that’s what the label says! The entire pint is 150 calories. And seeing how I happen to love the flavor of maple, I put this little container in my shopping cart, paid, and went off to try it. The first thing I noticed was the consistency. It was super smooth and creamy like ice cream, it was kind of like a smoothie being frozen, or a harder sherbet. When I placed it into my bowl, it was kind of choppy. I put about half the container in my bowl, and sprinkled a good amount of granola on top for some crunch. By itself, it had a very artificial maple flavor, kind of like the artificial maple syrup. It also had kind of a funky aftertaste, and an off sweet flavor. I wasn’t really into it by itself. However, with the granola, it was really quite good. 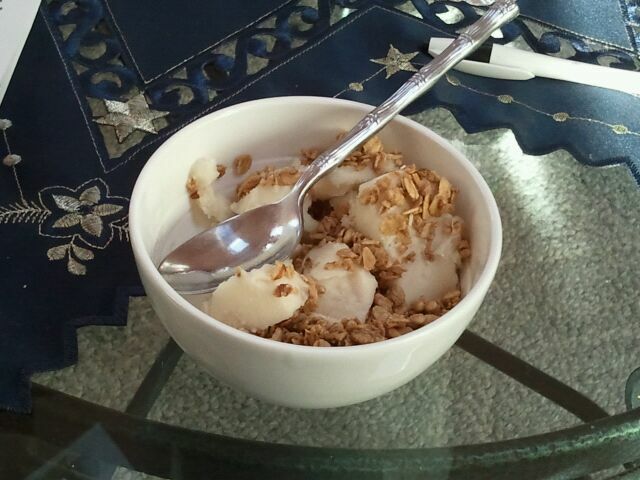 The crunchiness of the granola made the Arctic Zero feel creamier, and I actually enjoyed it. I certainly reccommend a topping if you are going to buy or eat this, because I wasn’t really crazy about it as is. 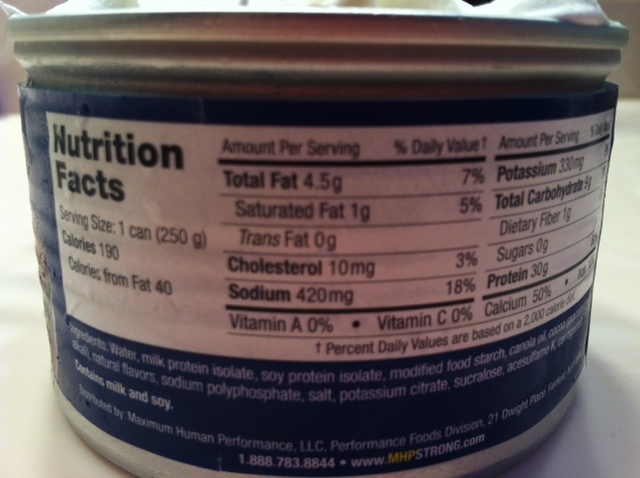 I did like that it had 4 grams of protein and 2 grams of fiber per serving. Overall, 3 stars. 1/2 cup (74 grams) is 37 calories, 0 grams of fat, 7 grams of carbohydrates, 2 grams of fiber, 7 grams of sugar, and 4 grams of protein. 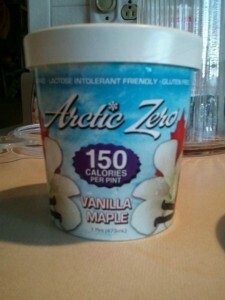 Have you ever tried Arctic Zero? Which flavor? Nutritious Creations makes these delicious cookies. 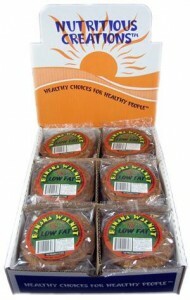 They are rather large, about the size of a CD or even a bit bigger, that are all natural and fat free. Starting with the best part- the frosting. It was a hard frosting, the black or chocolate side, had a deep chocolate flavor with the typical flavor that you’d find from a frosting from a jar, but without the smooth consistency. The white side, or the vanilla side, was my favorite. Sweet, and a yummy vanilla flavor, it reminded me of white chocolate. 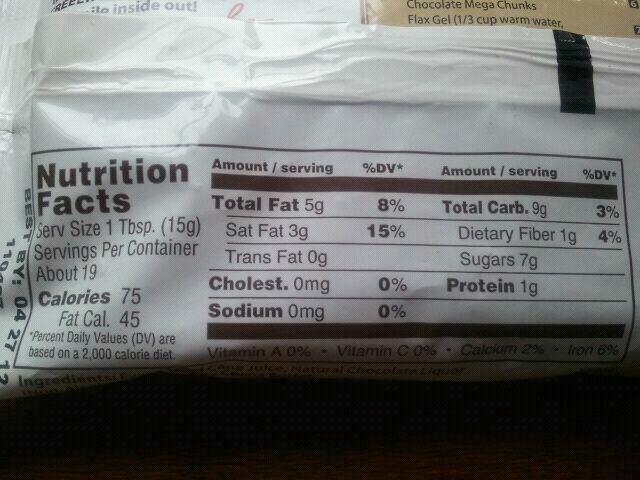 The cookie itself was somewhat dry, which makes sense seeing as there was 0 grams of fat per serving, but was sweet and also had a vanilla flavor to it. 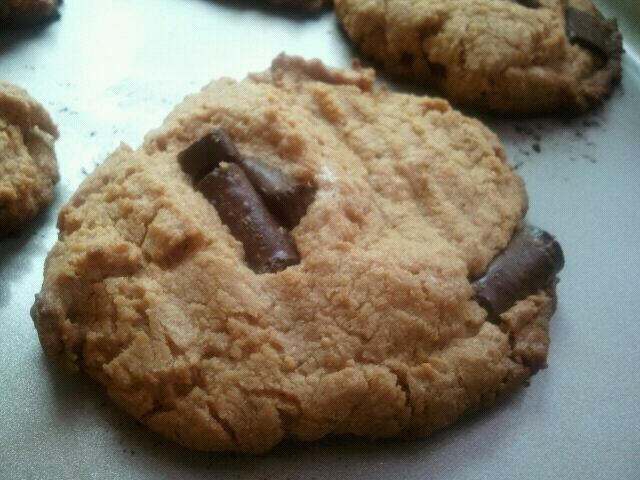 This cookie was THICK too- look at the picture! 2.5 oz is 115 calories, 0 grams of fat, 25 grams of carbohydrates, 2 grams of fiber, 12 grams of sugar and 3.5 grams of protein. Unbleached Wheat Flour, Egg Whites, Fructose, Confectionary Sugar, Water, Defatted Cocoa powder, Baking Powder, Vanilla Extract. During my rather busy day yesterday, I ran into a little grocery store and bought myself a greek yogurt and a Nutritious Creations Low Fat Banana Walnut Cookie. The store had a few options to choose from, but I was in the mood for banana, so I bought that one. I liked, for one thing, how BIG the cookie was. Not the typical homemade or medium sized store bought, but a large cookie. Perhaps the size of a CD. This cookie is made with natural ingredients, and although not something I would normally indulge in, seeing as it was made with corn syrup and wheat flour as opposed to whole wheat, I decided to buy it anyway. 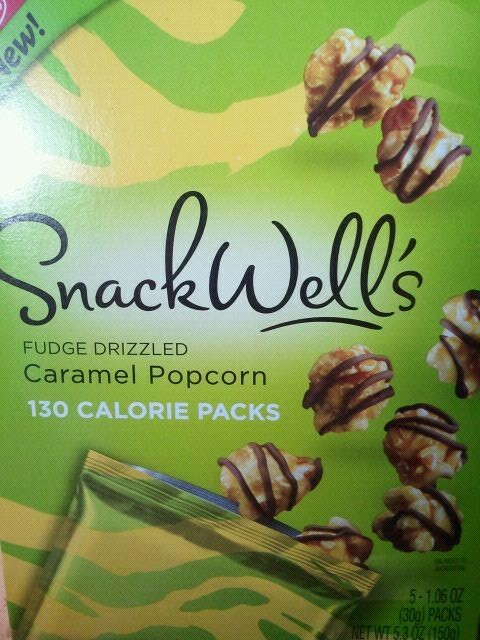 Because it stated it was low fat, I was expecting a rather dry and very sweet product, but it actually wasn’t that bad. It had a good amount of sweetness, and was only slightly dry. It overall had a good amount of moisture and a chewy texture, which I also think was from pieces of rolled oats throughout the cookie. The banana flavor was really good- a real banana flavor, not a fake, artificial one, which I really enjoyed. The walnuts were also a nice touch, not big chunks, but rather small pieces dispersed throughout the cookie. What I did not like at all was that there was these rice crisps throughout the cookie, and it was sort of offputting for me. 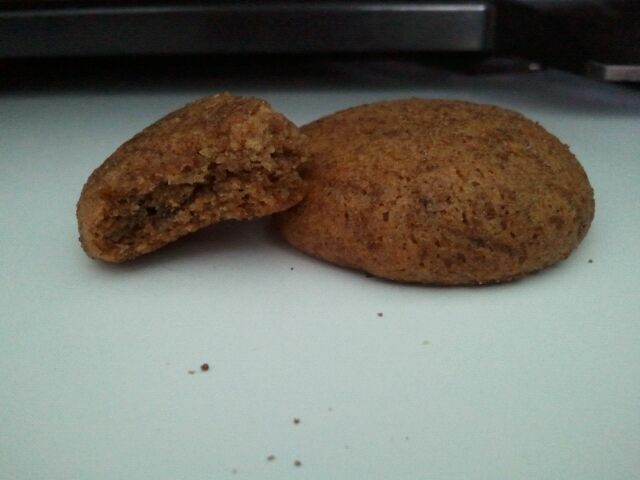 It was like eating a chewy cookie and then an unexpected piece of puffed rice got in the cookie. 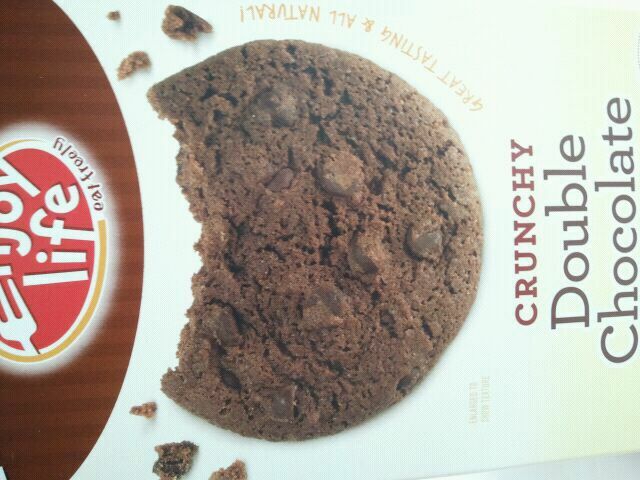 I didn’t really like it, and it sort of took away from the cookie in my opinion. 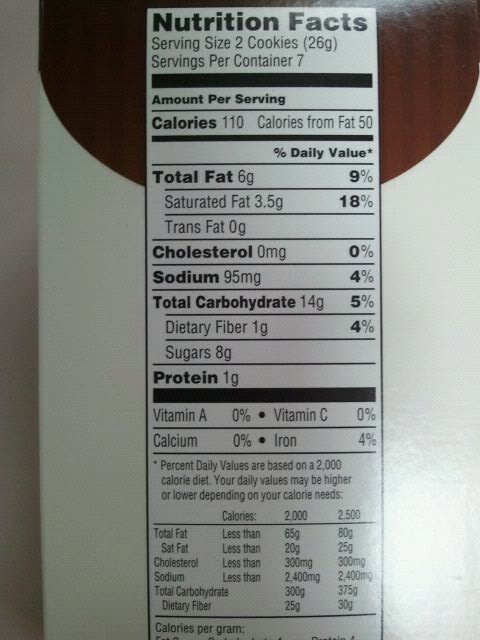 1 cookie is 170 calories, 2.5 grams of fat, 30 grams of carbohydrates, 4 grams of fiber, 18 grams of sugar and 3 grams of protein. 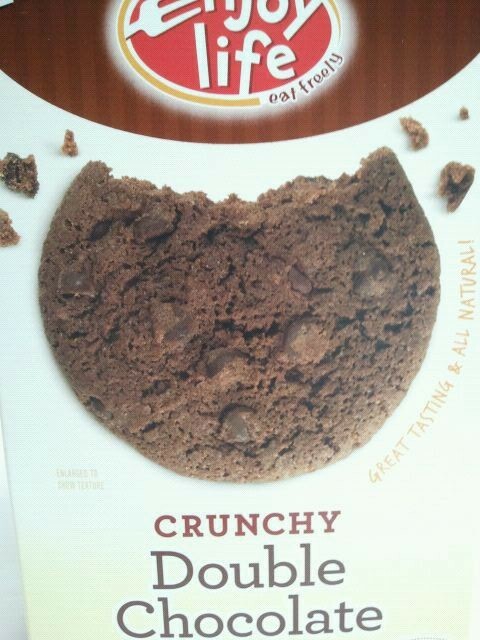 Question- what’s your favorite cookie variety? Please leave me a comment below! While I can’t say that I hate candy (that would be lying), I CAN say that I don’t appreciate it when there are trans fats, artificial flavors, preservatives or other additives and fillers in candy. I think it takes the “sweet” part out of eating a “sweet treat”. But, with P.O.P. Candy, their candy is all natural, and the ingredient list for the things I tried really isn’t even that long. I got to try several of the Butter Crunches, along with the Chai Tea Granola Pecan Bar that P.O.P. Candy sent me to try for free. While I can’t say they are necessarily healthy, I do think they are a better option than some candies that may have not-so-good for you ingredients. I tried the following Butter Crunch samples- Almond, Rosemary Almond, P.O.P. Mix, Pistachio and Pecan. Each of the crunches had generally the same sweet base/flavor, with variety with the add-ins, such as the nuts. They were crunchy, but not so hard like it was hard to bite on. They were sweet, buttery, and smooth, and left a very rich feel in the mouth. 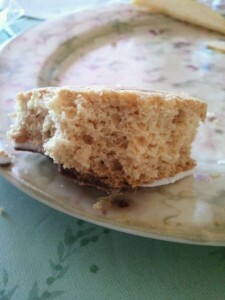 The Almond variety had a nice toasted almond flavor, that also added a little bit of crunch. The P.O.P. Mix was one of my favorites, sweet salty, with also a slight burnt nut flavor, but tasty! The Pistachio tasted slightly sweeter than the rest, and the Pecan variety had buttery and crunchy nuts. Of the 5 samples I was sent, I didn’t like the Rosemary Almond flavor- it had a little bit of too strong of a rosemary flavor for my preferences. Then I tried the Chai Tea Granola Pecan Bar. All I could say was deeeeeee-licious! It wasn’t a very typical granola bar, as I coulnd’t really break it easily with my hands or pull it apart. 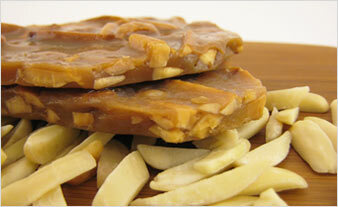 It had the sweet buttery crunch, with crunchy nuts and then chewy pieces of fruit. What I didn’t detect, really, was any granola or any chai tea flavor (?). I was confused, but I still really enjoyed it. The raisins were plump, juicy and sweet, and the nuts added the saltiness and a nice crunch. 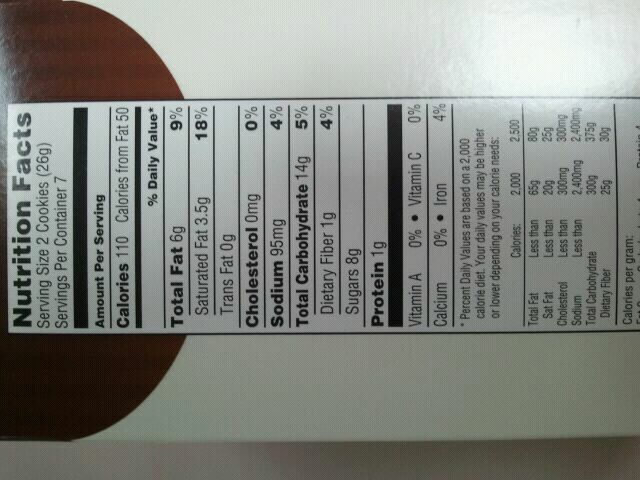 I didn’t have access to every nutritional information, but I was sent the information for the Almond Butter Crunch. 57 grams is 330 calories, 25 grams of fat, 11 grams of saturated fat, 25 grams of carbohydrates, 2 grams of fiber, 20 grams of sugar, and 4 grams of protein. 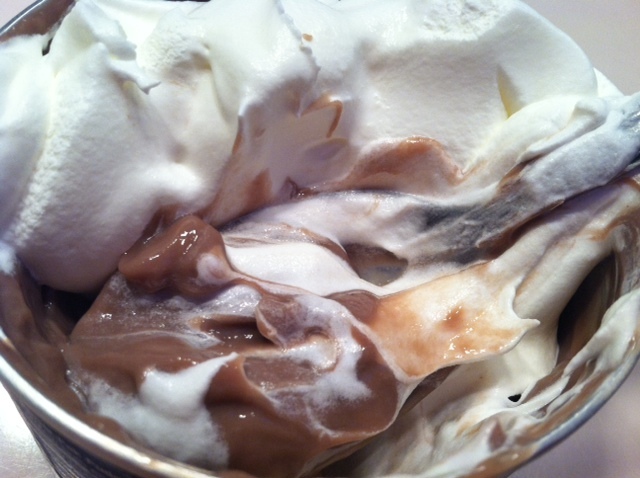 Almonds, Butter (cream, salt), Sugar, Brown Rice Syrup (Organic Brown Rice, Pure Filtered Water), Salt. I hope we all know my love with peanut butter by now, as it’s creamy, salty, savory, and just delicious. And when paired with chocolate? What could be BETTER?! How about when it’s gluten free, sugar free AND has protein? Hmm… I like the sound of that! The other day I was hungry, and in the mood for something both savory and sweet. So I grabbed this bar, and decided to give it a try. I opened it up and saw a somewhat thin bar, coated with chocolate. I took a bite and was very surprised. Peanut Butter? Where!?! After I chewed it for a while, I did taste a slight bit of a peanut-ty aftertaste, but no where near what I had hoped and expected to taste. In my opinion, this was a chocolate covered caramel bar, with a little bit of peanut flavor. 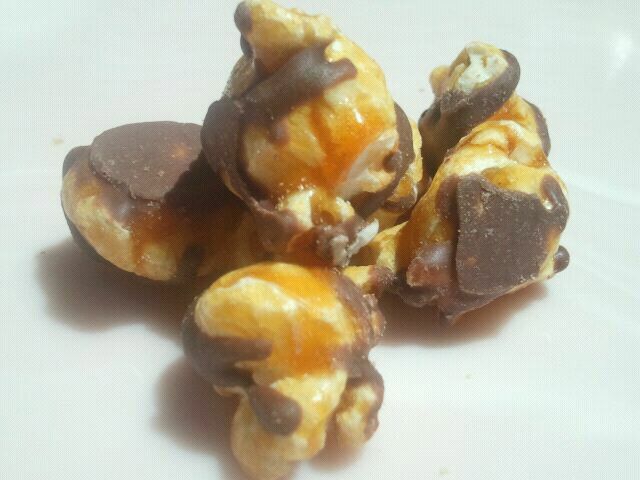 The chocolate was sweet, and the caramel was chewy but not too chewy-so pretty good. 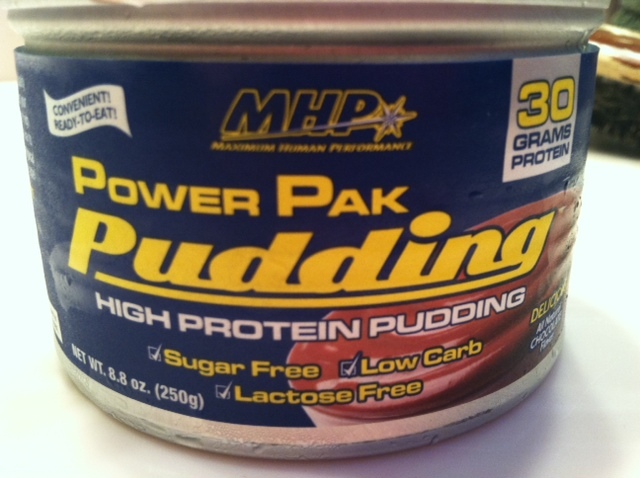 It was tasty, but a bit of a disappointment for me as I was really hoping for some delicious peanut butter! Overall, I give this 3 stars. It’s a good bar, especially if you like caramel and chocolate, but I really wanted some more peanut butter flavor! 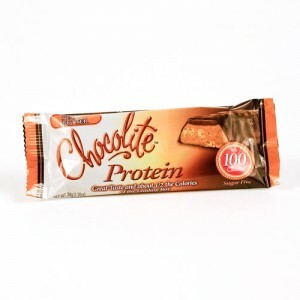 Like those delicious peanut butter cup patties I had from Chocolite before! I do like that it was sugar free and gluten free, as well as providing a good amount of protein as well. 1 bar is 100 calories, 4 grams of fat, 17 grams of carbohydrates, 10 grams of fiber, 0 grams of sugar ( 4 grams of sugar alcohols) and 9 grams of protein.